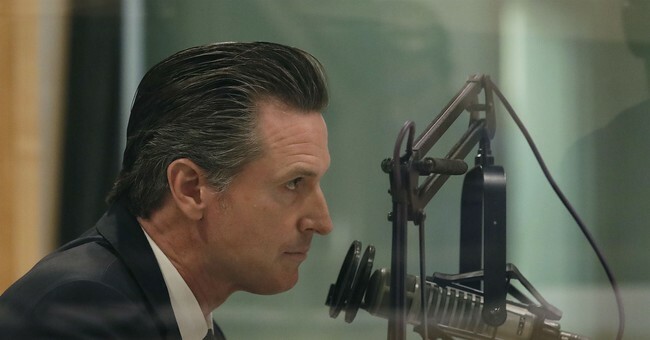 California Governor Gavin Newsom (D) doubled down on his decision to pull his National Guardsmen from the U.S.-Mexico border during his Friday interview on “The View.” He withdrew them in February to rebuke to President Donald Trump. “I pulled the National Guard because I don’t want to be part of this political theatre. I pulled the National Guard because we don’t have a national emergency,” Newsom said to a round of applause. Newsom said because he is in charge of the most diverse state in the most diverse democracy, he wants to put a “human face” to the migrants seeking asylum at the border. “I want to elevate the human spirit. That’s what California represents and I think that’s what America represents at its core. We reject Trump,” he concluded. Newsom is not alone in his decision. Wisconsin Governor Tony Evers (D) and New Mexico Governor Michelle Lujan Grisham (D) also decided to withdraw their Guardsmen in protest against Trump. Since then, the Department of Defense has deployed 1,000 more active-duty troops to the border to continue supporting the Department of Homeland Security.